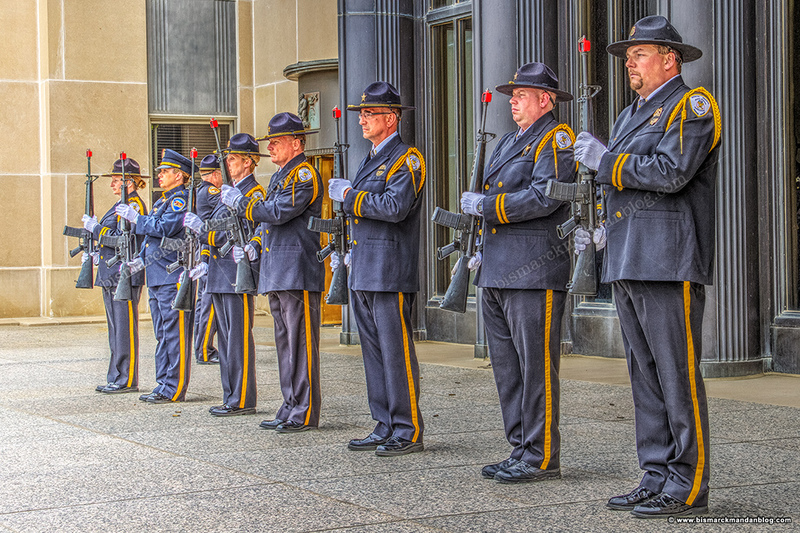 This weekend I’ll post a couple things from the peace officers’ memorial ceremony on Wednesday, but there’s no time to do so today. I did want to share this photo, though, because it is one of the few photos I’ve taken that lends itself to a particular effect. I love HDR (High Dynamic Range” photography, especially with drone footage. I’m no master, but I hope to improve. I love the way I can grab details from the lightest and darkest parts of the photo and blend them all together into a “hyper-realistic” final product, and if done with the proper restraint it can be breathtaking while still not entirely artificial looking. Sadly, so many examples of HDR imagery (especially when it first took off) are overblown, oversaturated, pasty conglomerations that reduce the technique to an eyesore. Not this one. 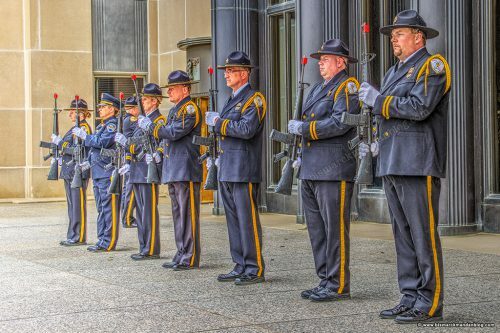 I wanted a “painted” effect for the Peace Officers’ Association honor guard, and it worked. I had the right lighting, I had the right subjects (they stood STILL), and it all came together. I’d love your feedback on this effect. I’ll post a couple of photos and a video sometime in the near future.